It strikes me as strange that we describe food in terms of flavour and texture yet in wine it’s entirely lop-sided, aromas and flavours capturing the majority of any description (‘adjectival confetti’ as Andrew Jefford so aptly describes them in Decanter). Often these are relevant only to the reviewer’s immediate audience. I associate hawthorn flowers with young, unoaked chardonnay, especially Chablis, but unless you’ve walked along an English hedgerow in spring, this will have little resonance for South Africans. Texture and structure are the building blocks of wine, more important in many ways than simple flavour. They also make the wine more multi-dimensional and interesting, And I’m not thinking of red wines only. An increasing number of winemakers are experimenting with skin-fermented whites, whether as part of a blend, or full-on with post-fermentation maceration. White grapes also have tannins and anthocyanins, so both structure and colour can be obtained from fermenting on the skins. Craig Hawkins was one of the first to experiment with this method, nearly ten years’ ago now, when he was at Lammershoek. His first efforts now seem rather crude compared with what he and others are producing today. 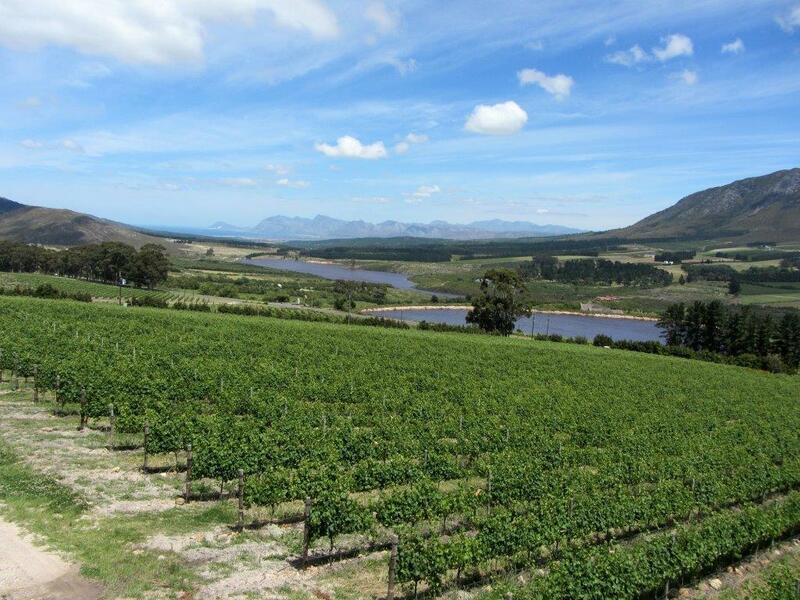 Skin-fermented whites can often come across more vinous than fruity, as is the case with Francois Haasbroek’s Blackwater Blanc. The base is barrel-fermented chenin plus skin-fermented then barrel-aged clairette blanche and palomino, which give off a pale orange glow and suggestion of grip. Its dry, savoury nature suggest it’s better suited with food than as an aperitif. 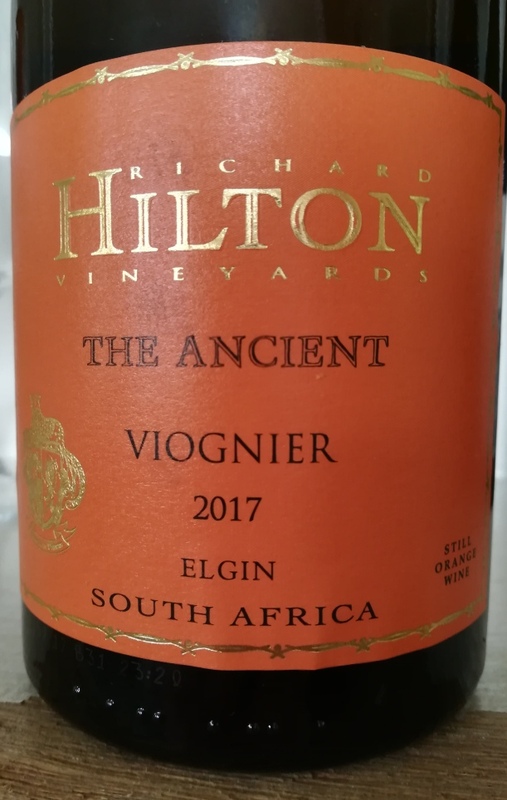 Richard Hilton’s The Ancient Viognier adopts the full-on approach. Fermentation in open 500 litre foudres with two or three daily punch downs, followed by closing the lid and leaving the macerating wine for a month before pressing and a further few months in barrel. The result is truly orange in colour, the texture silky, full of ripe fruit all encased in freshening tannins. It’s brilliant with spicy dishes but also delicious solo. In the above wines oak, only old, is nothing more than a container where the wine can evolve. These days, there’s interest to be found beyond oak and even skin contact: cement eggs, clay amphorae and terracotta pots also impart their own individual texture to whites, a resonating soundwave intensity is how I think of it. Then we come to the sheer concentration of the grapes themselves which provide texture. 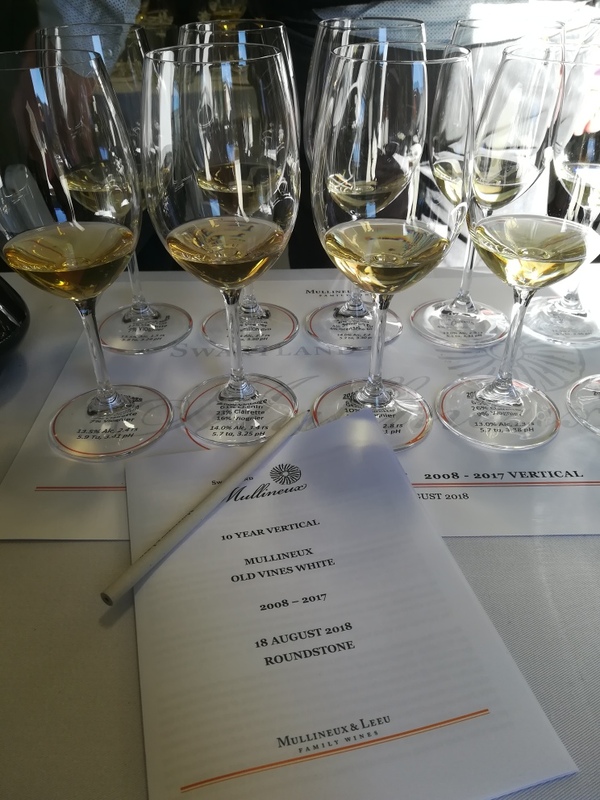 This is very much the case in the Mullineux’s Old Vine White blend; old oak barrels are merely fermentation vessels, the concentration of old vine Swartland fruit provide layers of both flavour and texture with freshness lifting them into 3-D. At the recent ten-year vertical, it was interesting to discover how the wines changed not only with time but also with the addition of varieties other than the usual trio of chenin, clairette and viognier. Semillon gris joined the trio in 2014, grenache blanc a year later. These wines are still young; the mysteries of maturity as yet remain unknown but the oldest, 2008 resembles an old Rioja, deliciously oxidative and savoury, 2010 fresher, more elegant and creamy ‘more Burgundian’ opines Chris Mullineux; all have what it takes to mature, 2017 probably best to date. If freshness (not to be confused with acid) in whites is rather taken for granted, freshness in reds needs more attention. This too would reveal the textural layers they also have, but so often are missing when the fruit is harvested overripe, some residual sugar is left after fermentation and acid has been clumsily added; the result is a monolith. The holy grail used to be physiological ripeness, nowadays many are chasing freshness, a goal which often provides greater flavour purity. I have to agree with colleagues who criticise some of the Cape Winemakers Guild Auction selections for their high alcohol, sweet reds. Showy but ultimately shallow, lacking in freshness and, as a result, definition. It amazes me that wines like these can be selected alongside the likes of Newton Johnson Windansea Pinot Noir 2017 and 2016, Gottfried Mocke’s Pinot Noir 2017 (from Kaaimansgat), Jordan Sophia 2015 and Boschkloof Epilogue Syrah 2016. Apart from freshness, all these speak of the variety each is made from both in purity of flavour and texture: the pinots with supple flow, Gottfried’s with cool climate heady intensity; Sophia ripe, long-lived cab tannins, fleshed with merlot (there’s cab franc and petit verdot too), the oak flavours complementing the wine (too often not the case) and the Boschkloof Epilogue vibrant, spicy, supple but not lacking muscle nor fine grip and just enough oak. These are wines that give pleasure to the bottom of the bottle. There is much in wine beyond flavour.